One minute Josh Baker (Eric Roberts, The Human Centipede III: Final Sequence, The Dark Knight) is meeting the woman of his dreams. The next, hes watching her whisked away by a mysterious ambulance that never arrives at the local hospital. Doubted by the police, Josh is forced to carry on a one-man crusade that leads to a discovery more frightening than his worst fears. 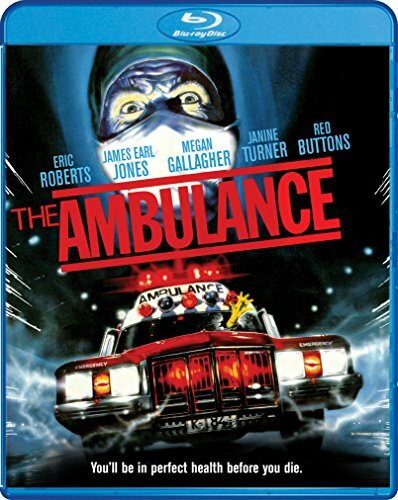 This non-stop ride filled with action, suspense and heart-stopping thrills comes from cult filmmaker Larry Cohen (The Stuff, Its Alive, Q: The Winged Serpent) and features an all-star cast including James Earl Jones (the Star Wars films), Red Buttons (The Poseidon Adventure) and Stan Lee!